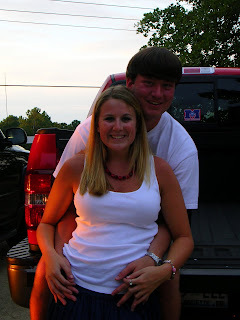 Moments with the Mays: a flashback on the fourth! 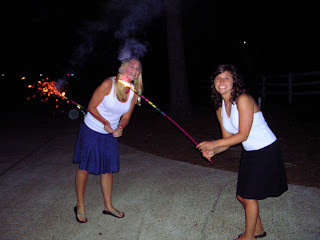 I have no plans for the 4th this year so I decided to take a walk down memory lane at some past 4th of July moments! 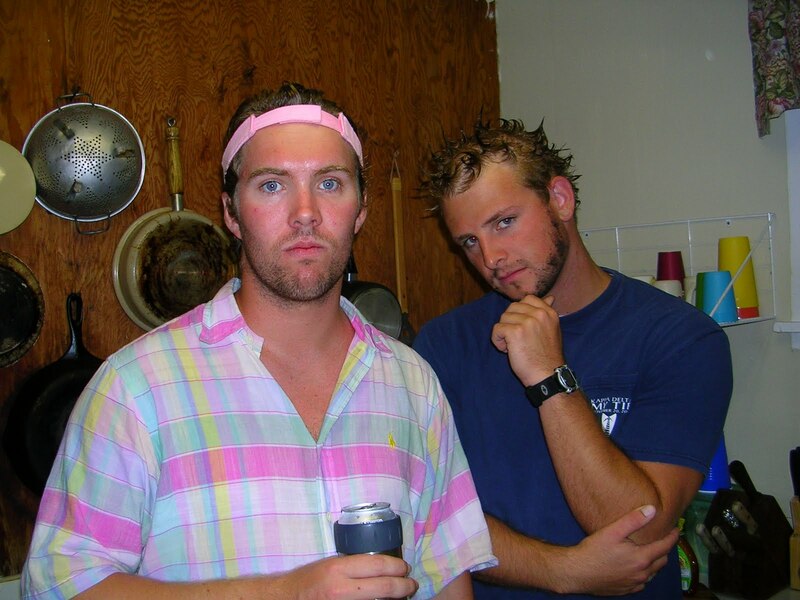 one summer home from college...maybe I was 20? eh, who knows. Carl and I..and some of our other high school friends..went to see fireworks in Roswell and it POURED. party foul. big time. no fireworks that year! so instead we took fun pictures. this is one of my favorite take-a-funny-picture games: shake your head like crazy. great pictures every. single. time. this is why I love my friends. they make me literally fall down laughing. Blair. She is Chelsea Handler 2.0. She will make you laugh until cry with just about everything she says. Los Angeles stole her AND Carly...boo hiss! Hah! Best picture ever! 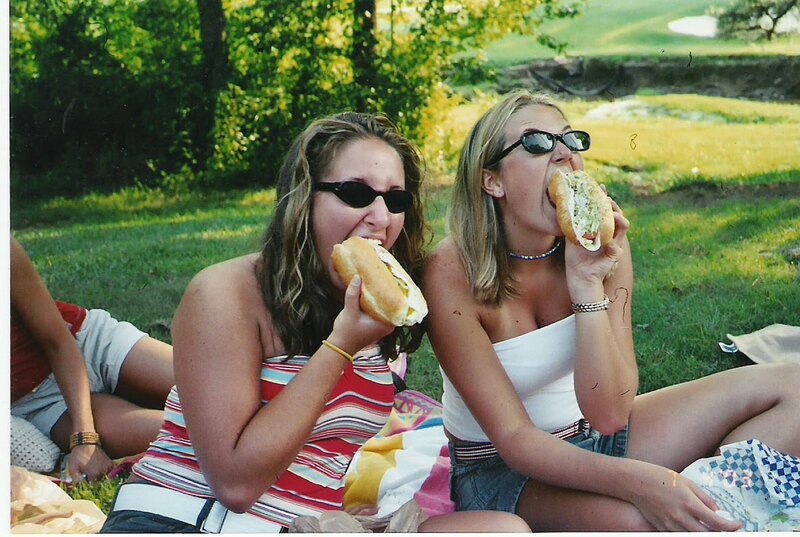 This was the summer after we graduated from high school. We had a cookout with a bunch of our friends...Kemble and Phil were the "grillmasters." 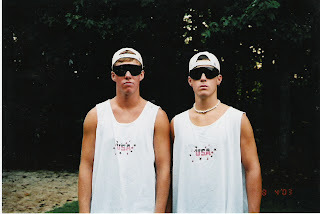 They totally rocked the USA tanks complete with jorts. It was amazing. 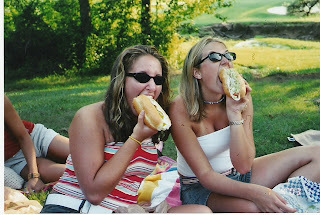 Most of the time we went to Indian Hills country club to watch fireworks & we had to bring a Publix sub. yum! Teeny 18 year old babies! 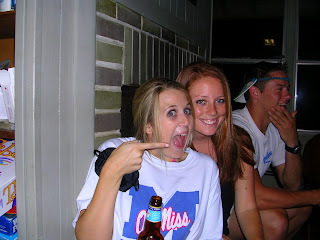 My one summer/4th of July in Oxford...I was 21. Ben had worked for TNT and got tons of huge fireworks for Margie, Aaron, and I to watch. We went to an empty field in Oxford and got a private fireworks show--awesome! ahhhh....Swine Lake. Aka: Phil's ridiculous lakehouse where many many many of my senior year/college memories are. 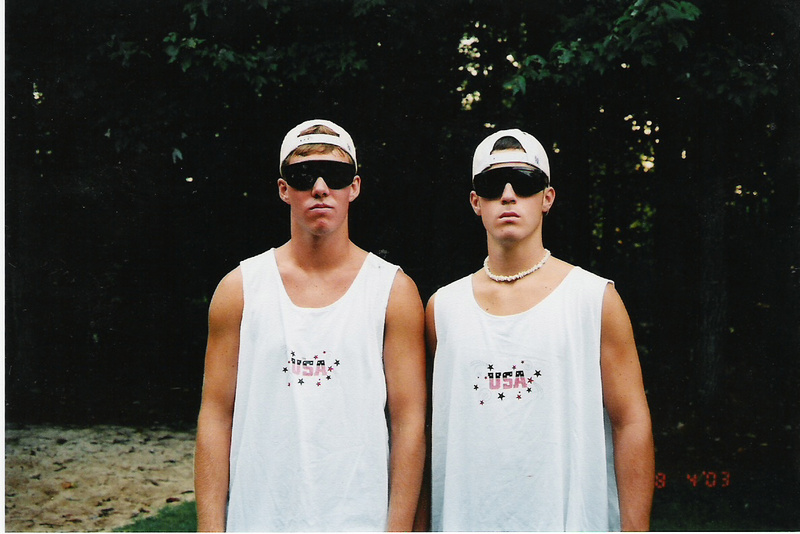 Can you believe that these guidos made themselves look like this before Jersey Shore?! So ahead of their time. Fireworks were always quite frightening at Swine Lake as they ended up being shot at people instead of in the air. But, no injuries thus far! Hmm..that I know of anyway. 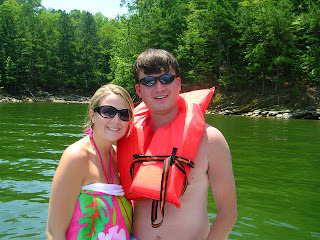 I would go home after this trip and get the WORST case of poison ivy ever. Remember last year?? We spent it at Crockett Park with Mary and Justin Bobby! Kisses for JB! Next year I will have a squishy baby boy to dress up in patriotic seer sucker...so strange!! cute!! I love flashback pictures! Ah, I like this post quite a lot. Phillip was very excited for making your blog twice. We really must swine lake it soon. We probably won't get a chance this summer, but hopefully next summer.